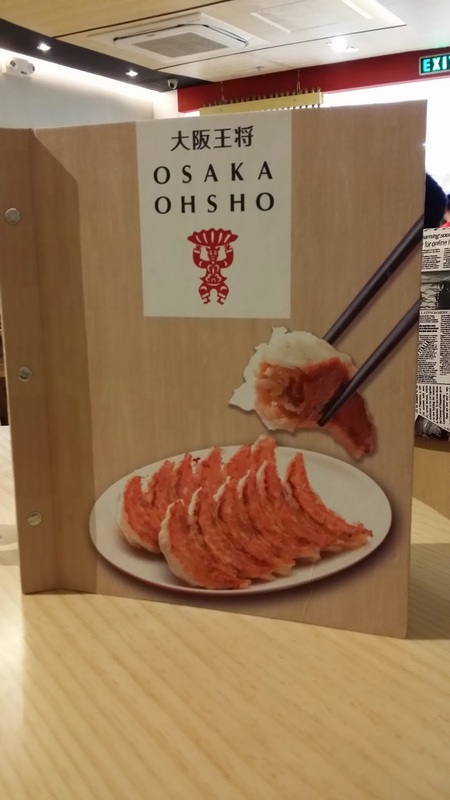 Food Escapade at Osaka Ohsho | Vanity and Everything in Between. Here's a shot of rounded couch (did I even describe it right?!) of the restaurant. I'm not a fan of this type of chair/couch because it takes too much space and it's difficult for people in the middle to move about because everyone is just scooting over for other people to be able to sit. 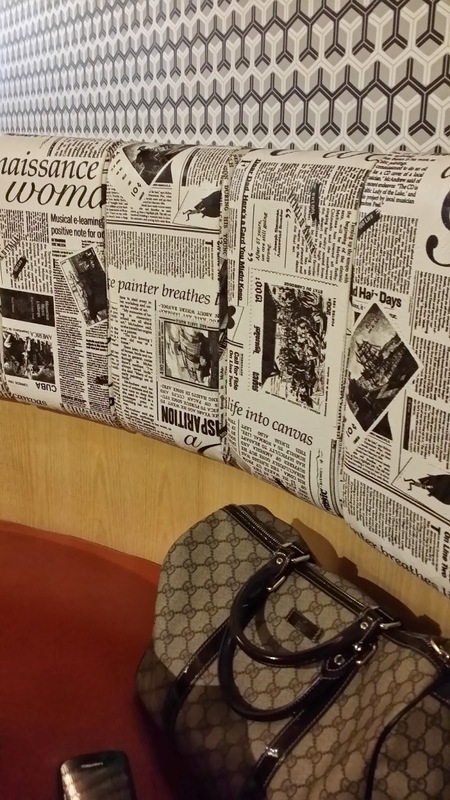 I like the idea of the newspaper design. Unique, contemporary although it doesn't seem fit for a Japanese restaurant. The articles are not even related to Japan or Japanese food. I was the one that ordered the normal gyoza set. I'm glad to say that I was very happy with my order. 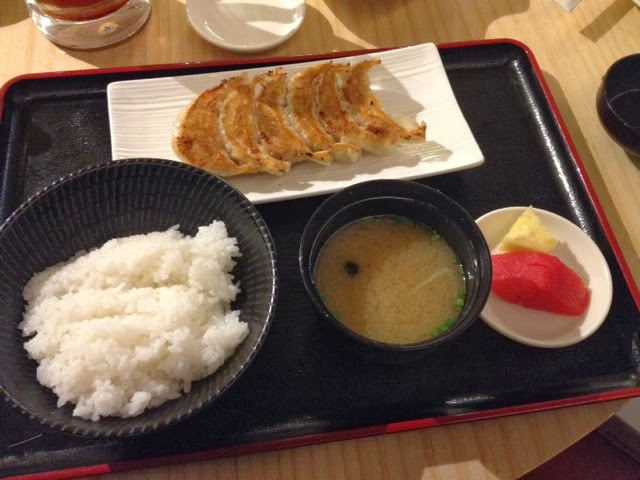 Rice is refillable except for the fruits and miso soup (why??). Their serving reminds me a bit of Yabu sans the shredded cabbage. Must be the tray. My mom was happy with the Gyoza as well. 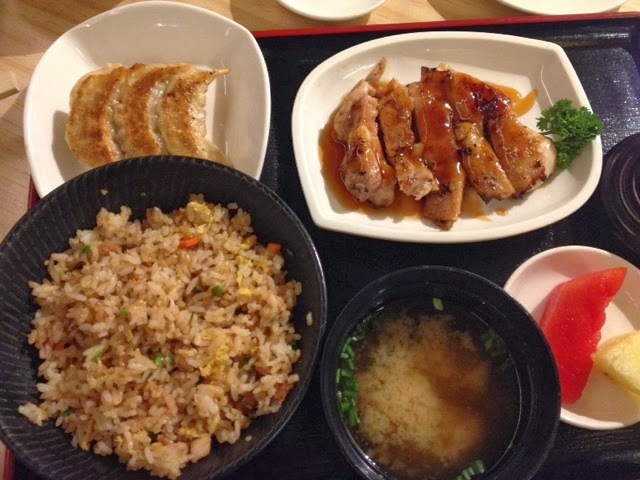 She even said with feelings, "Super sarap ng gyoza!" The chicken teriyaki was alright. There was nothing special with the taste, really. 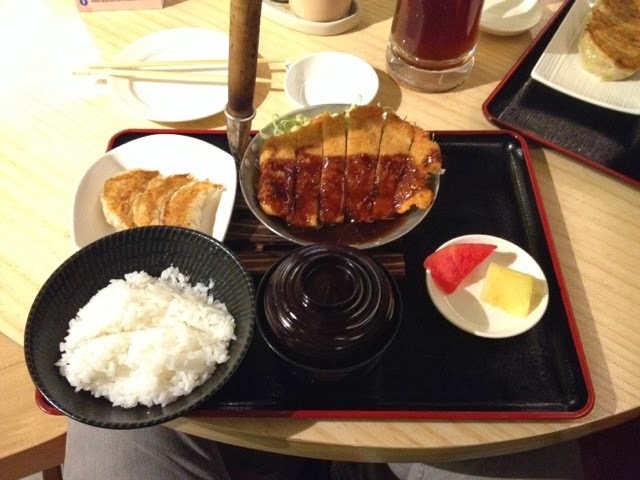 As for the tonkatsu, I find it a bit disappointing as the meat wasn't tender. 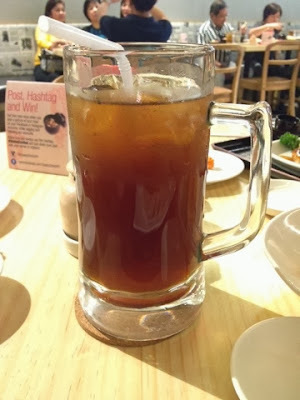 We also ordered the crab cream something, I think it's also one of their bestsellers. My mom liked it. I didn't. It's like grinded or shredded crab meat with mayo that is deep fried with a lot of breading. 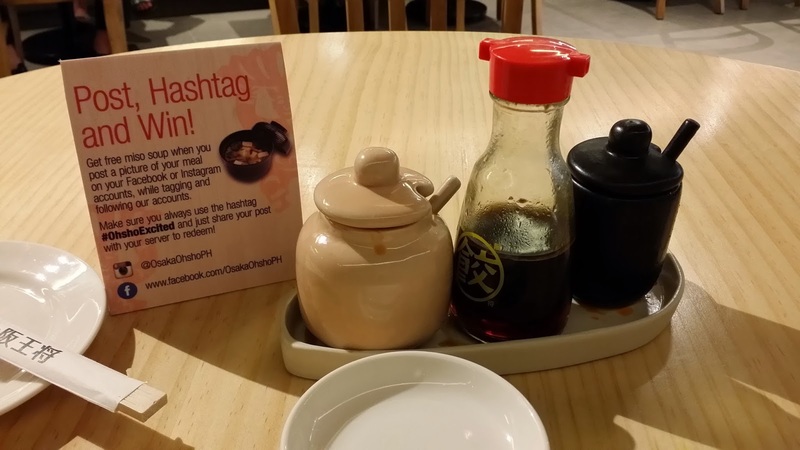 This is a Japanese restaurant that specialises in Gyoza. They have 3 kinds of cause: miso sauce, original sauce, chill sauce. I tried all three but I still prefer the original sauce - a mix of sour and salty (according to my weird tastebuds). Osaka Ohsho is the same group behind Wee Nam Kee. Osaka Ohsho is located at the 3rd Floor of SM Megamall Fashion Hall.